Vitesse is a French noun meaning speed. The word suggests a European zest combined with rapid utility. 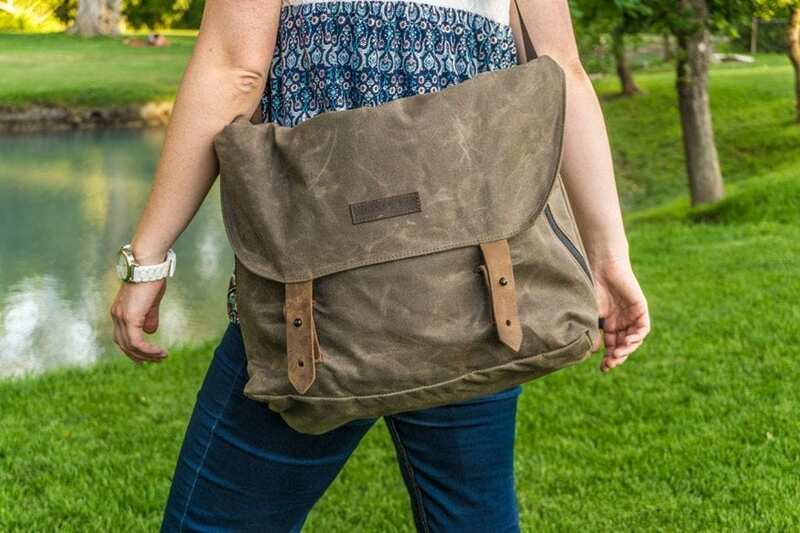 It’s the perfect name for the Waterfield Designs Vitesse Messenger Bag. The bag is simple, lightweight, and has a certain flair in its design. 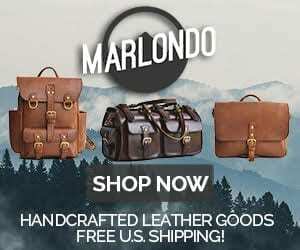 Waterfield is a San Francisco based company, and they seem quite tech savvy. Their products are designed with phones, tablets, and laptops in mind. You can get a feel for their team by watching some of the videos on their site. The founder, Gary, is featured in many of these, and he’s kind and friendly as he gives you details on the designs. Overall, the team gives the impression that they’re proud of their products, and for good reason. Let’s start with the leather, which on this design is minimal. 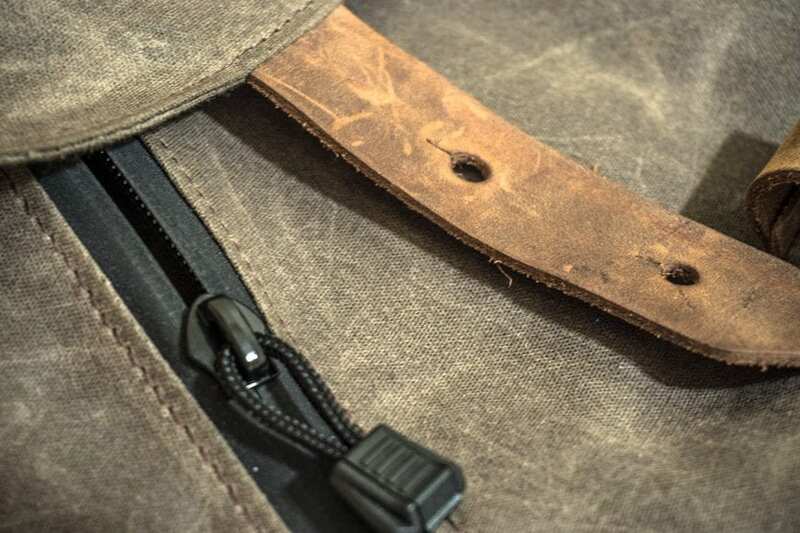 Distressed leather straps hold the flap down, and the holes fit snugly around black metal screw studs; this combo at first seemed too tight, but after using it awhile they loosened up and now are the perfect fit. The bag also has a leather briefcase-style handle on the top, which I’ve found convenient and have used quite a bit. The bag is made primarily of canvas. It’s thin and lightweight, as is the strap. The bag on the whole isn’t at all heavy. It’s also mostly without structure, so it can fold up and go inside another bag. It would be perfect to take empty to Europe and bring home full of souvenirs. On the flip side, because it’s relatively thin, don’t expect it to provide a lot of protection to whatever you put inside. If you’re carrying a laptop, you’ll want to put it inside of a padded case, and then slip that into the large interior pocket on the inside. The designers seem to have put a lot of thought into the details. Even at its longest, the strap is fairly short, which keeps you from having to deal with the slack getting tangled or in the way. And I’ve found that wearing it shorter gives me more control, which is perfect if you’re sprinting through an action sequence or doing some casual parkour. I like to push the bag to hang at my lower back when I’m on the move, and I swing it around to the front when I need quick access. 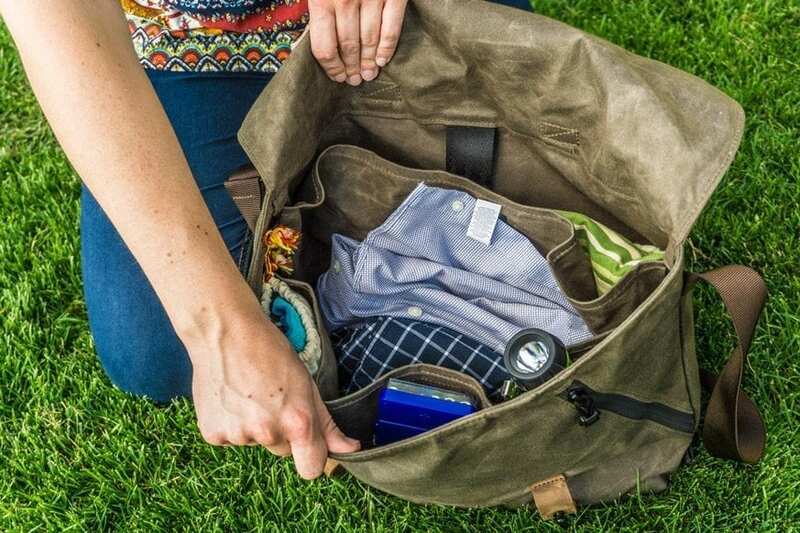 The bag has a pair of pockets on the outside which you can get to even when the flap is down. They’re sealed with these sweet looking black, waterproof zippers. Altogether, this feature made me want to applaud the designers. It’s so convenient to access your phone and keys without having to open the top. Again, great for when you’re on the run. There are also three hand pockets on the inside, which are great for small stuff you don’t want getting lost inside. The interior is pretty spacious. You might be surprised by what you can fit in it. For example, when I carried a large tripod inside, the flap wouldn’t close on one side, but I could still secure the other side, and that held it in securely. The straps also have two holes each, which lets you fit things of different sizes. This bag politely doesn’t demand attention. Yet it’s pretty classy—nice enough to accompany a business-casual outfit, but it also goes great with jeans and a baseball cap. 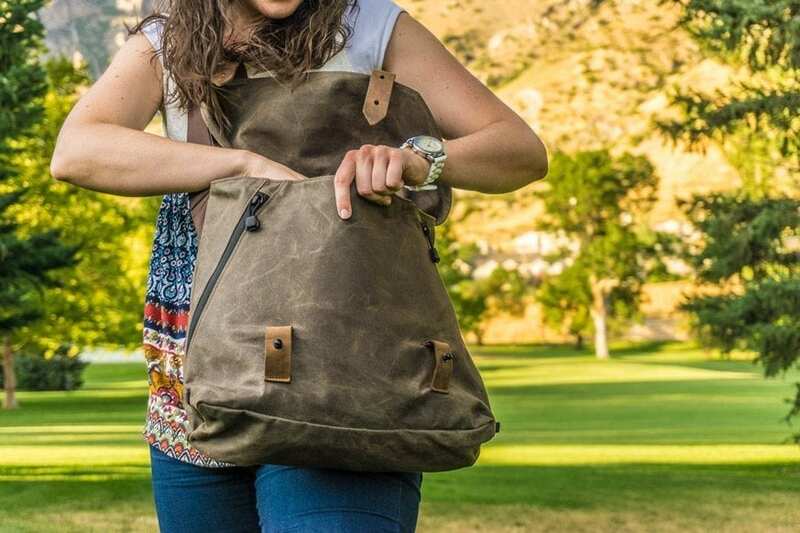 The Waterfield Designs Vitesse Messenger Bag is lightweight and collapsible, yet spacious. And I’ve liked it so much that sometimes I’m tempted to bring extra things with me just so I have a reason to carry it. It’s an excellent companion for an on-the-move sort of protagonist. 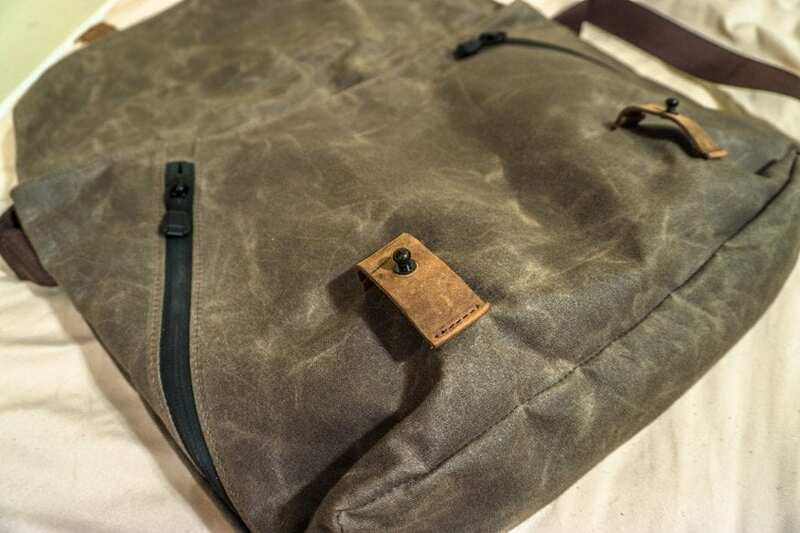 2 Comments on "Waterfield Designs Vitesse Messenger Bag Review — $159"